Increasing velocity is the #1 goal of every software engineering team today. But how do you decide what code needs to be tested and how to test it efficiently? Rapid releases require adopting the right tools to ensure testing is not being slowed. 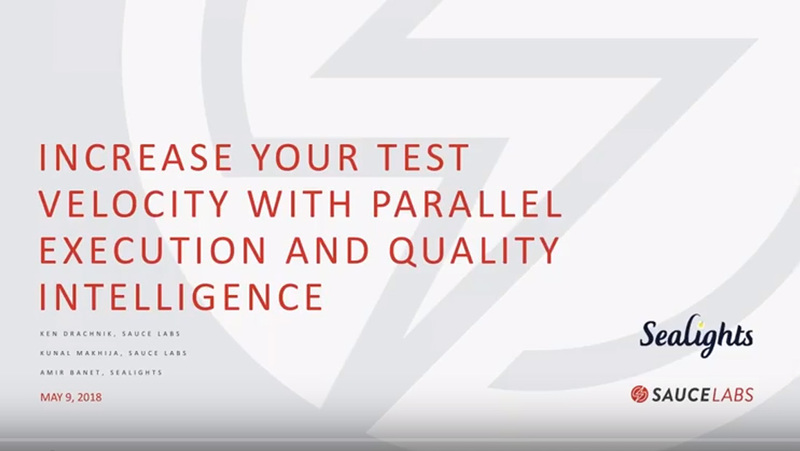 Join Sauce Labs and our partner Sealights to learn how to use quality intelligence across your development pipeline to identify which parts of your code you need to test and how testing in parallel will speed up your releases. The combination of Quality Intelligence and testing tools will dramatically improve your team’s velocity without compromising quality. Learn how to gather the right data with SeaLights to develop the most efficient and effective tests.